How’s your art coming along? Do you see anything different from the past year, or the past six months? Those are good questions to ask yourself. What would you like to see happen for you moving forward? Over the past months, I’ve been busy trying new things. I’ve added print making to my list. I took quite a few tutorials and fell in love with the process of carving my own designs into linoleum and rubber plates. I’ve also been exploring new techniques in watercolor and how to bring something different to the art that I do. Don’t allow yourself to become stuck in a comfort zone! You can continue to do what you like, using the medium of your choice, but allow yourself to be open to new ways of doing it. When you look at the art that inspires you, ask why it makes you feel that way. What has that artist created in their work that speaks to you in the way that it does. I can guarantee you that what you see in their art now, is not what they were doing when they started out. They have evolved into what you see. We all should join the evolution process. Your art, and my art is asking for an evolution of some kind. The problem with remaining within a comfort zone is that you never grow beyond where you’re at. Sometimes we are afraid to try new things. That is why tutorials, art classes, or instructional videos are so important. They show you, hands on, and you get the opportunity to see the results. Somewhere along in the process, your creative juices begin to flow and your way of thinking expands; the door is now open for new ideas to surface. ​There’s a good chance that where you are in the journey of art, is not where you’ll be this time next year. Take that leap and Get Out of The Comfort Zone! The most important thing to remember as an artist is this; you are still evolving! It takes time to find your niche. It takes daily discipline to improve your skills. Nothing that is ever worth doing comes easy. Always remember that! The more knowledge you receive with what you are interested in doing, the more help you will have to flesh out your art. Nothing is accomplished over night!It’s important to surround yourself with a community of artist who are making strides with their art. If you are doing art simply for the joy of it all, keep learning and growing, and enjoying what you’re doing. Set realistic goals for each year. I have short term goals written down as well as long term goals. It’s good to keep these goals to yourself. As you accomplish each one, you can share as need be. Not everyone will be supportive of your efforts, unfortunately. There will always be the nay sayers and comments suggesting that you are not good enough. Learn from those who are willing to teach, and take a workshop or two in order to build the confidence you need to move forward. Rome was not built in a day, so be patient and give yourself the necessary time needed to evolve artistically. Never, No Never Give Up on your art! It’s understandable if you need to step back and take small breaks. I’ve done that when I needed to re-fuel, so to speak. Make sure you don’t stay away too long!Don’t stress over ‘style’. The style that works for you will find you as long as you keep doing art! You will find yourself settling into a creative place naturally. Your work will become more consistent; just let it happen naturally. Let 2019 show you what stuff you’re made of! Keep Doing Art! DON'T THROW AWAY THAT ARTWORK! Sometimes the idea we had doesn’t work out the way we wanted it to. The color isn’t right, or the subject is not how we pictured it in our head, and we’re disappointed and frustrated! I cannot tell you how many times that has happened to me in my journey as an artist. There were a few projects that I discarded because I thought there was no hope. Since then, I have learned that a little patience and time can make all the difference. I found that setting that particular art piece aside for a while, provided me with a new approach to what I otherwise thought was a bust. What I started to throw away turned into a very nice painting after all. Part of the journey is exploration. Every time we start a project, we’re attempting something we haven’t done before. There will be times when we will be happy and pleased with the outcome, but not always, so don’t throw away that artwork! Give it some time, move on to something else, and come back to it later. You just might stumble onto a moment of creativity, from deep within, and create a wonderful work of art! I love learning new things, especially when it involves art! There's always something that can help you become better at what you enjoy doing. I've been taking lots of tutorials and video lessons in the various art mediums. Trying my hand at new paints and styles is important. There were a couple of mediums I hesitated trying for one reason or another, but I took the leap, and found that they were enjoyable. Watercolor painting has bitten me, and I plan on spending fall and winter investigating it more. I started doing colored pencil art and love it! Working on other mediums can only enhance what you do already, so don't be apprehensive in trying something new! Growing comes with learning, and learning leads to growth. They are necessary in order to develop your craft. I didn't do much painting over the summer. I spent more time taking workshops and learning new techniques. I also tried my hands at watercolor painting. I've always steered clear of that medium because it seemed to be the most difficult to manage. My previous attempts using that medium didn't feel comfortable, yet I cranked out a few I could live with. I've learned that there are many ways to achieve beautiful paintings using watercolor paints. I am focussing technique by practicing the styles that I like. I took the carefree approach to my summer vacation. I hung out on beaches, visited art galleries and museums, ate good food, and captured important moments on camera. Now it's time to get back into the discipline of doing art. I decided to work on a series of small acrylic paintings using the carribbean as my theme . ​I ended the summer by taking a trip to the country where I could sit and do nothing as I mentally planned out what I wanted to do when Fall arrived. I will definitely be spending the winter learning new things in relation to art, with less attention on exhibiting, unless the right opportunity presents itself. Before we know it, the holidays will be staring us in the face! I have some art that I will be gifting to certain individuals for Christmas. I can part with a few, and besides, I'd rather see them hanging on someone's wall than occupying space in my home. It's not always about selling one's art as much as it is finding a suitable home for it while putting a smile on someone's face. ​Although summer will soon come to an end, I’ll have some memorable moments to cherish! I like to top my summer off with a nice quiet trip to the country. Leaving the hustle and bustle of a big city behind, is always great! People who reside in the country have it right. There’s more to life than the fast pace of the concrete jungle. Things are slower, calmer, unhurried, and healthier in the country. The home grown food and eateries are a plus, as well. 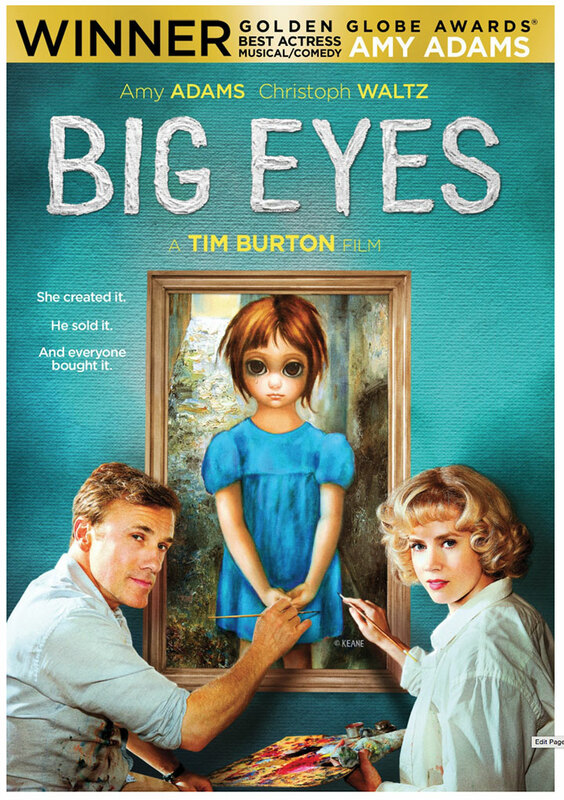 Today, I watched a really good movie, in my opinion, ( Netflix) called ‘Big Eyes’. It’s the story of Margaret Keane, the artist. You may have stumbled on to her paintings online or somewhere, not realizing that there is an interesting story behind her. I’ve seen her art over the years and the eyes, on the faces of the children she paints, were always captivating. If you are an artist, or like art, it’s worth the watch. 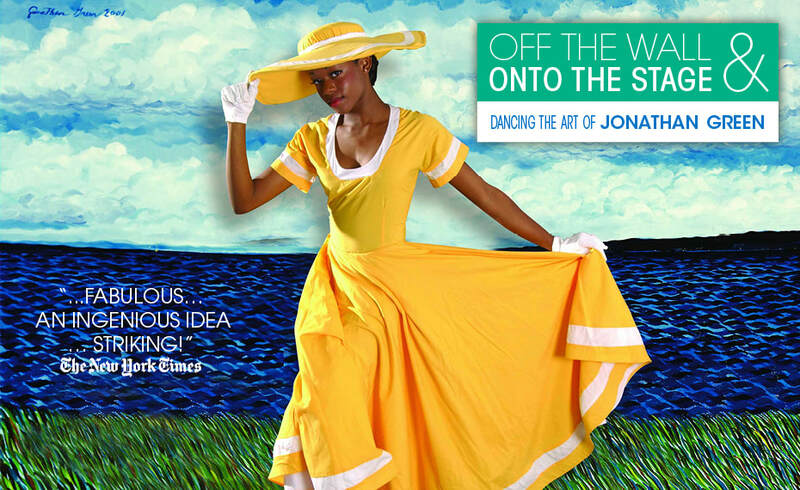 I am presently working on a series of new paintings having to do with scenes in Barbados, West Indies. It is my heritage, so why not? After enjoying my stay in Ontario Canada, the next travel stop was Barbados and what a wonderful time I had there in St. Lawrence Gap, Barbados. Besides spending my mornings on the beach, soaking up the sun and the Vitamin D, I scheduled a three hour tour with a private driver to take us through Bridgetown. Barbados has 11 Parishes, I believe, and we were able to cover four of them. One of the places we visited was an Anglican Church in St. James (Parish). The inside of that church was amazing because it embodied 'Art'. That's when it came to me that art is everywhere! The stain glass windows were outstanding. The artistry of that type of work demands respect! ​I learned that this church was a very, very old building. 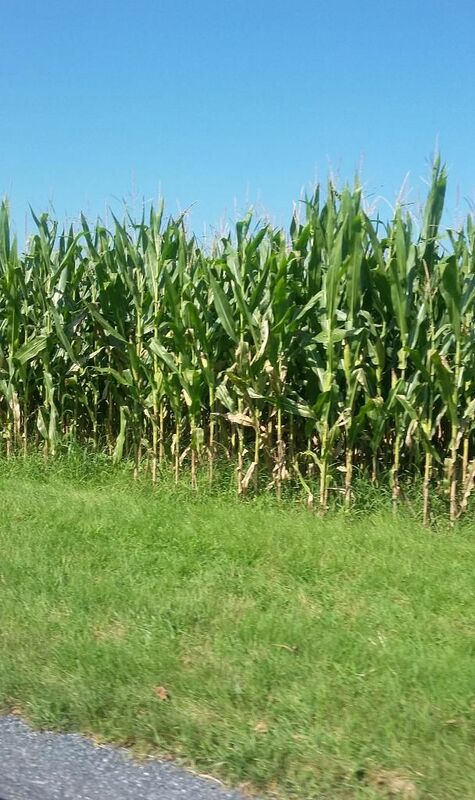 You would have never known that because of how well kept it was. Outside of this church was a seal and I was told that wherever you saw that seal, on a building, it meant that the structure was very old. I found art everywhere in Barbados! The colorful houses and the beautiful clouds in the sky that appeared to be reachable, all displayed its own artistry. ​We also visited Rihanna's house (Singer) that she grew up in. She is originally from Barbados. She was also in town when we were there. She was there for the big celebration called, 'Crop Over'. All in all, it was a wonderful trip with great food and beautiful weather! I had a great vacation!! 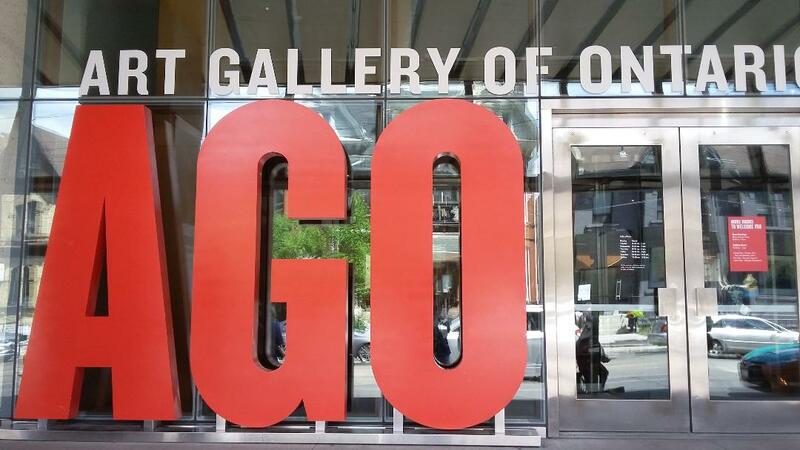 I had the opportunity to visit the AGO (Art Gallery of Ontario) in Canada. It was stimulating and inspiring. 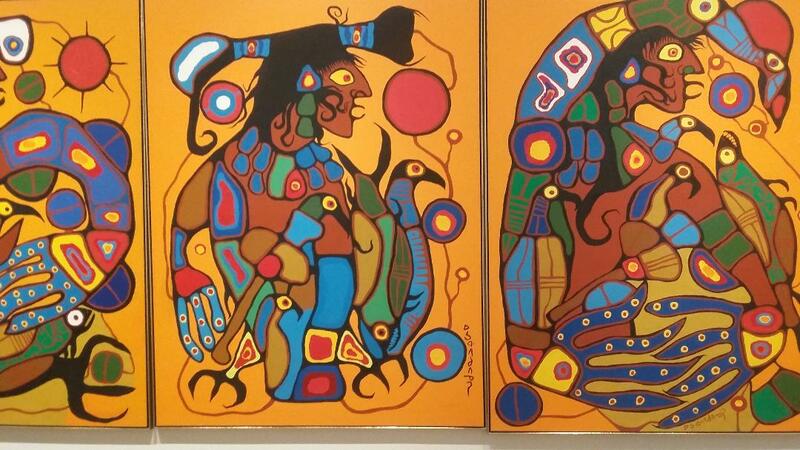 I saw the art of local artists of the past as well as the present along with the works of a few of the Masters. There were a variety of styles, from traditional paintings to contemporary ones. I saw some very interesting sketches that were done by an artist whose work reflected the sick patients from her husband's private practice. Her sketches included the death of children and the mothers who hold them and mourn. Her own son died young as well. I ended up spending three hours at the Art Gallery of Ontario. I still didn't see everything there was to see. None the less, it was a worth while visit. The next day I went to ROM the Royal Ontario Museum. They had animal life of all kinds. 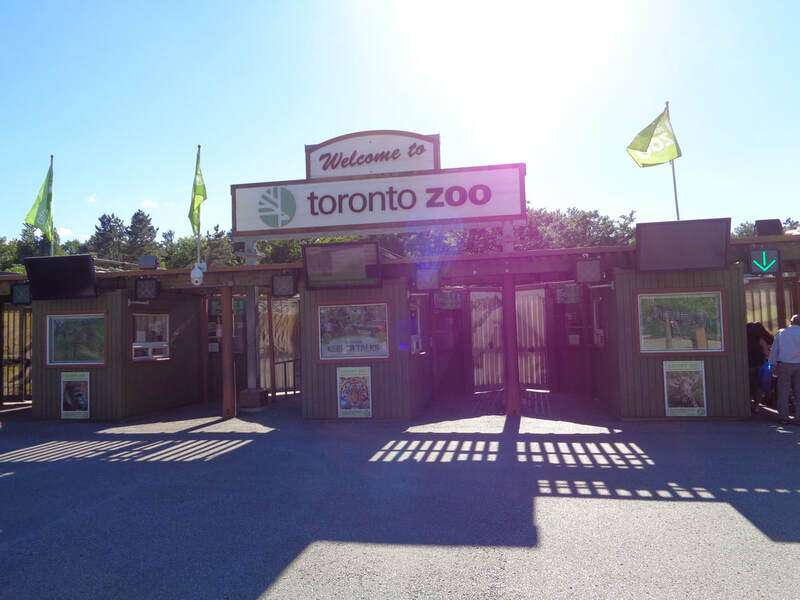 I stopped at the local zoo and saw some pretty interesting sites up close. Well....I'm off to more traveling! Well, summer has arrived! I've decided to spend time learning new techniques and trying different mediums. I entered a few art exhibits as well. It's always good to get exposure! After all, art deserves to get out and play. While vacationing, I will check out some of the local artists and capture some of the beautiful sights as well. I just might find some inspiration for new paintings. I hope you will enjoy your summer and continue to explore art and its many facets. Look for workshops and tutorials that are up your alley. Learn as much as you can about the areas of art you're interested in. The summer is a good time to spend time in the sun, network, and spread your wings and fly! I will definitely be spending time on the beach, one of my favorite places to be. I love the sound of the ocean, and watching the sun set. Have a blast and keep doing art! Inspiration can be found by looking in art magazines, books, looking at artist websites, Youtube, art stores, museums, and gallery visits. It is always exhilarating and inspiring to see the work of those more experienced, and the way they interpret art! There's always something to learn where art is concerned. I give a word of caution though; wherever you are in your journey, never become discouraged or overwhelmed by what you see! The more experienced artist has definitely evolved from where they started out. This is the process for everyone. Art evolves over time. You find your niche as you continue to commit to the process of doing art daily. Give yourself time. Where I was a year ago, is not where I am now. It's important to enjoy the process. Continue to be open to learning new techniques and styles. Speak with artists who are making a living from their art and see what you can learn from them. Don't be apprehensive in asking them questions. Keep doing art...Hang in there...and Be Patient! As I continue to do art, I'm also exploring different approaches. It can be a challenge to step out of one's comfort zone and try something totally different from what you're use to. I'm not sure how I feel about my latest creations, but I'm growing and constantly learning. I have also been attending artist talks and exhibits that I am not a part of. It's always interesting and can be refreshing to examine the art of other emerging artists as well as seasoned artists. When I hear that an artist is actually able to support him or herself via their art, I'm all ears. I could definitely learn a lot from them. I do know a few artists who are supported by their art and I can see why. Not only are they good at what they do, they are disciplined, and they have a specific story to tell. There's a point to their art. The summer is soon approaching and I will also try my hand with a medium I haven't tried before. That ought to be interesting. Keep your interest and love of art going. On the days when you feel like you want to walk away from it all, go visit an art museum or exhibit, or go online and check out the art on YouTube. Sometimes we just need a little inspiration to reboot and to keep moving on with it. It is always a privilege and an honor to be covered in the press especially along side of other talented artists! The Way Back was the titled exhibit for 2018's Black History Month! Getting visibility for your art is important. Your story is important! More Than One Area of Art Is Okay! Some of us are skilled in more than one area of art, and that's okay, in my opinion. When I'm not painting with acrylics on canvas, I weave baskets using sweet grass, palmetto leaves, pine needles, and bull rush. 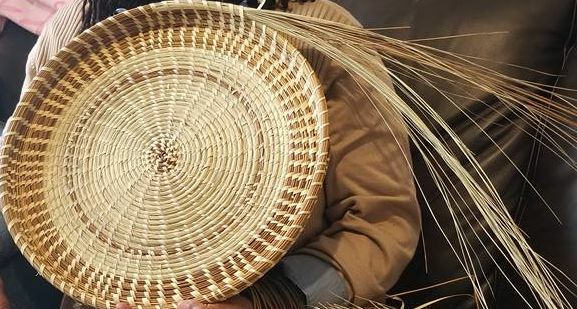 This type of basket weaving (originally called, basket sewing), requires intense use of one's fingers and hands. It also strengthens the hands. This past week, I worked on a 'Shaker Basket', and didn't paint at all. As I worked on my basket, lots of creative ideas came to mind for paintings. I thought that was interesting. Although I was working on one form of art, I was still creating, mentally, with another. Perhaps your artistic ability lies in a couple of areas. Don't give up on one for the other. Try to balance them, somehow. It can only enhance the skill you already have. It does take discipline to be consistent in one area, and complete the work you've started, but you can wrap your energy, extending your discipline, to more than one artistic form. Try it and see what happens for you. I'm eager to get back to painting this week. I just might see something different in my work than before. Stay open minded and free! Don't box yourself in! ​No one can tell you how to express yourself artistically! You have to run with your passion and see where it takes you! Many who went to college for art, were taught certain rules about staying within the confines of the educational approach to art. their expression and approach to creating art. I have seen some beautiful art portraits done by using fabric and the quilting technique. 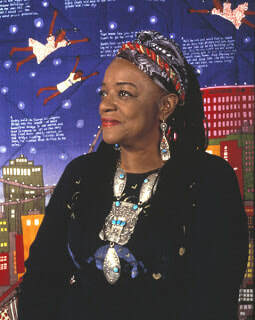 Faith Ringgold tells wonderful stories using this process. Other artists, use spray paint and stencils to create their storyline dealing with everyday life, such as Nina Chanel Abney. The many ways of expressing art is endless! It's an individual thing. It's the artist and his or her passion running wild, taking them where ever it will. No one can tell you how to express yourself artistically! You have to run with your passion and see where it takes you! Art That is Organically Yours! Having no formal training, Campbell’s work is inspirited with such venerated artists as Jacob Lawrence and Charles Motley infused with Gullah - Geechee roots, post Renaissance vibes of Harlem and Brooklyn, and the 1980s African cultural resurgence. As I gallery hop online and offline, I enjoy the uniqueness of each artist I come across! Claiming one's art as their own is seen by their consistent artistic expression. You come to know their work and whenever you see it, their name comes to mind automatically. As I mentioned in my earlier blog, an artist doesn't have to search for themes to paint or to create. The stories exist from culture, experiences, and family stories. As an artist, you have a unique voice and approach to creating what doesn't exist. Tap into that more and more. Use the work of others to inspire you and to grow you, but make sure you bring what is organically and uniquely 'YOURS' to the table! There are many artists who hold degrees in fine art as well as many who are self-taught. In the category of both, you will fine Internationally Acclaimed artists. Every artist tells a story from their perspective and experience. The clothing (if they are using people as subjects), reflect the era and times they lived in. The storyline involves the history of their family or heritage. I particularly enjoy colorful art! I connect personally with art that I can relate to. I think we all do! I enjoy Leroy Campbell's art because it is creatively unique, political, and it definitely makes me think. The news paper backgrounds are profound because of the subject matter. Has your voice been heard through your art? You don't have to necessarily be in a gallery to be heard! The moment someone views your art, it speaks! Try as many ways as possible to get your art out there for the public to see! Keep creating! Keep doing art! Paint and Create from What you Know! At the height of her fame, blues singer Bessie Smith was really known as “the Empress.” So it was no joke when Romare Bearden titled his painting, Empress of the Blues. 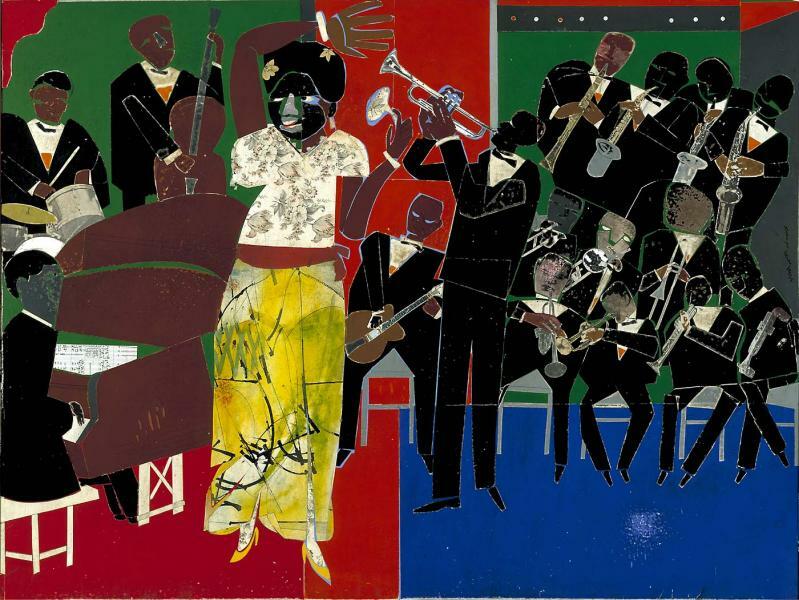 Romare Bearden is widely recognized as one of the most original and significant artists of the 20th century. Bearden (1911-1988) moved to New York City from Charlotte, North Carolina, and—notwithstanding occasional sojourns to Europe and the Caribbean—remained here for most of his life; indeed he worked for several years in a studio above the Apollo Theater, not far from the Morningside and Manhattanville campuses. 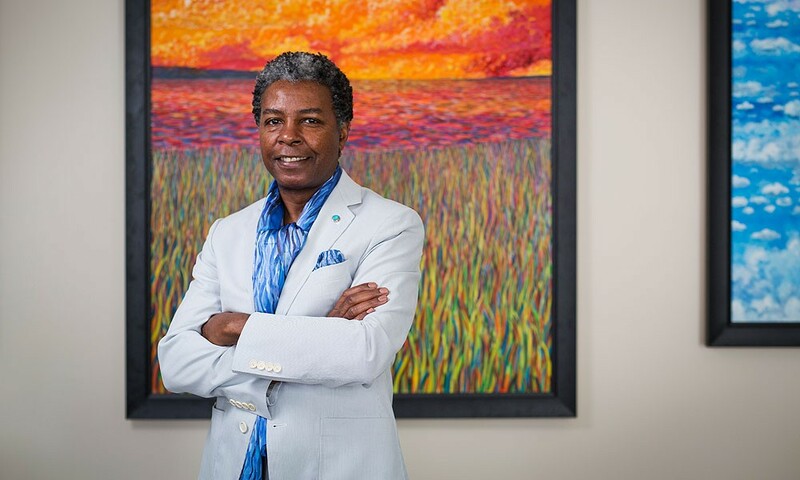 His art features a broad variety of American scenes—northern and southern, urban and rural, contemporary and historical—but he is perhaps best known for his richly textured collages, depictions of universal stories featuring African American subjects. An artist doesn't have to look far to find inspiration for their art, in my opinion, because their life, alone, is the source for many themes! One's rich culture, community, travels and experiences provide a tapestry of colorful stories. Write down the subjects that are nearest and dearest to your heart. Make a list describing the impact they've made on you or your life. Your soul can only express what it knows! An artist is a story teller. What lies within you that's screaming to come out? Whether your experiences have been good, bad, or ugly, give them a voice! Your life is the canvas so tell your story! Art makes a person think, reflect, question, and learn, all at the same time. It evokes emotions that have laid dormant, and it awakens the human spirit. No two persons will respond in quite the same way. Art is powerful! So, the next time you're wondering what to paint or create, always go with what is organic, familiar, accompanied by what you already know! Recently, I've been thinking about the community at large, and ways that I can 'give back' in order to inspire others. It's a good thing to do. Artists can find ways to share their talent or skill. It will take time away from your busy schedule, but nothing is more rewarding than to encourage creativity in another person. The world we live in is extremely stressful, fast paced, and hard at times. Art is a great soother for those situations. The relaxing, calming affect when one does art is like medicine for a person who is stressed out or going through a difficult time. Perhaps you enjoy working with children. I can remember the satisfaction I received when I use to do art with community kids. The first day, they were excited as they looked at the sample project. They had five days to finish their art piece. By the fifth day, they were anxious to take their projects home. On the evening of that day, we invited the parents to come and see all the wonderful art their children made. It is just as enjoyable to work with adults. The noise factor is lower, and there is less moving around compared to the younger ones. Art provides an outlet for those who are interested in exploring something new and different. I don't think that 'Art' was given for us to keep to ourselves, or to only put on display for sale. Sharing it with others, as therapy, is a good idea. Perhaps you know of another artist in your vicinity that would be willing to assist you when the time comes. You can put your heads together to come up with the best approach for an art day in the community. The warmer weather can provide good opportunity because you can always go to a local park to meet with a group who may be interested. It may take some figuring out, but there are 'Free' ways to give back to your community through art. I can remember when art was a regular part of our school's curriculum. Some schools no longer have art as a subject for their students. I cannot emphasize how important art is. Art is a form of creative expression. It tells stories and teaches us many things. Art, as seen through the eyes of its viewer, can evoke emotions such as: joy, sadness and hope. No two individuals will interpret its subject in the same way. Art is deep and profound! It is important to bring art into our communities because it can inform us in a different way than books. 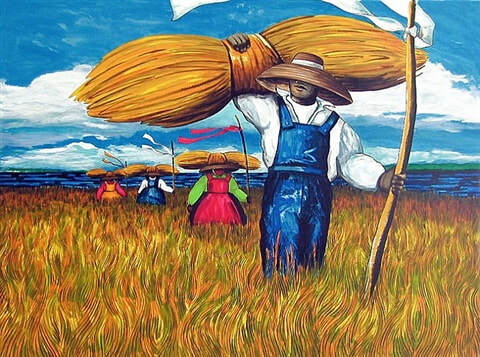 One can learn about their own culture and history through art. Artists tell truths through the movement of color. Art is not to be taken lightly. A painting can speak without words and its voice is heard with every stroke of the brush. What would happen if all the artists disappeared? Who would tell the stories that need to be told? Who would keep track of history and crucial historical events? Can you picture a world without art? I can't! We must find a way to bring art back into our communities and back into our schools! Our youth need art! They need to be exposed to a form of creative expression that is pure and safe; a form of expression that is powerful in its own right! They need to know that their voices can be heard through art. Art is important to the artist because it bares the mark of their soul. It allows them to create and to share their point of view, and how they perceive things to be. You cannot hush the brilliance of its color, or dismiss its honesty! ​Yes, I can remember when art was a regular part of our school's curriculum. We must find a way to bring it back! How do we keep from comparing ourselves to others? It definitely is a 'Human Nature' thing. From the time we were children, we saw the toys that the other children were playing with and somehow judged ourselves by the lack thereof. Perhaps as humans, it is indelibly ingrained in us to measure our talent and worth by the grandness of others. I can only speak to what I have learned over the years, and this would be applicable to life in general. Never measure or compare yourself with another imperfect, flawed, person. It isn't wise! We are each different by design and uniquely structured and wired to produce in a way that is non-comparable to others! When we look at the leaves on a tree, at first glance, all of the leaves look exactly alike, but when we look closer, we see that there are varying differences. I enjoy seeing the art that others are creating, in whatever form it takes. I marvel at the 'Eye' of each creator, because I'm amazed at their perspective. Give 10 people the theme of an apple to either, sketch, draw, paint, or mold, and you will never see the same interpretation expressed. We never have to be concerned about being like anyone other than our true selves! After all, no one can do what you do in the way that you do it. When it comes to levels of skill or ability, it will vary based on experience, training, or natural raw talent. Every artist will tell you that they have grown to where you see them today. So, I think it is more important to focus on improving skill. Can it be hard to accept where we're at in the 'Art Journey', especially after seeing so much great art around us? I can remember browsing through the many artists online and wondering, why in the world would I continue to pursue this craft. It can be discouraging. What kept me going was my desire to keep doing what I was doing. I had a passion that I couldn't quiet, so I took that to mean that I should keep growing and learning, while doing it day after day. I have seen improvement and progress! Listen to your heart, listen to the drive within you. If you go to bed and wake up thinking about your next project, you need to feed your passion. Answer its insatiable desire and create more and more of what doesn't exist! We live in an age where anything we need to know about rests right within our finger tips, literally! This is the information age and technology makes it an easier possibility than ever before! Once upon a time, I use to frequent our public libraries to get all of my information, but not anymore. I do go to the library, but for other purposes. It is always good to be eager to learn and to grow in whatever you are interested in doing! If you want to get better and better at something, read all the information you can get your hands on, about it. I like tutorials because they are hands on. You can access the videos at your leisure, and receive the instruction you need. I've attended workshops as well. It was good to see other like minded people interested in art. There are free tutorials out there. You don't have to look far. Craftsy.com has some that are reasonably priced. This is not a plug for them. I am not an instructor there. You can progress and grow in your craft! There is plenty of help for those who do not own an art degree or certificate from a credited institution. It's wonderful if you do have one, but there are nationally acclaimed artists out there and famous ones, who were self-taught! Enjoy learning and growing and expanding with your artistic ability! ​The art of journaling can be fun! I have a couple of visual journals that have one single word written in it, or a thought that I described artistically. I spent a year art journaling. I joined and online group and found so many inspiring artists who were extremely creative! The pages in my journal, that I loved the most, inspired me to keep them alive in different ways. I created note cards from some, and others, I painted on canvas. Who says you can't take one idea and turn it into something else? Ever so often, I browse through my journals to see if there is anything that can assist me in developing a painting. Art journaling can serve for more than one purpose! Think of it as a collection of ideas that have room for growth and development. I have journals that just have rough sketches of concepts and ideas for future work. I have a couple that I did a few days ago, and when I was finished, I found at least one idea from each page that might serve well if I put them together in one painting. On the days when I am running low on inspiration, I do a journal page. It helps to spark creativity. Sometimes it's just a matter of keeping me disciplined by doing art everyday. Not every attempt has to be an actual painting. The key is to stay focused enough and be disciplined. You may not be into art journals, and that's okay. You may be into sketching. Either way, our artistic ideas are worked out by some sort of rough visual markings. Whatever your taste and style, there may be more than one way to use it! Over the years, I have tried my hand at a variety of things in the arts. I've enjoyed paper crafts, fabric crafts, needle crafts, art journaling, and mediums that included ink markers, alcohol inks, paper painting, and acrylic paints. I gave each area a fair amount of time with experimentation. I have to say that I love all of them and, from time to time, I return to the ones that grab me the most! No one can tell you where to land your feet and stay. Follow your heart and whatever grabs your interest. Spend time with it and see where it leads you. You may find a way to incorporate a few into one approach to doing art. For example, when I started painting, I was able to include colorful, painted, papers as collage work along with my acrylic paintings. I have also used fabrics. It takes time to narrow down a style or to find your niche! It will take a while before you discover a comfortable and suitable approach to your art. It all comes with being willing to try new things. Don't be overly concerned with this at the beginning. If you have been doing art for quite some time, it is advised that you be consistent with your work. Consistency will identify you as an artist. When you look at the art of one of your favorite artist, you can tell how to identify their work whenever you see it. There are things that each artist repeats over and over again in their work. It could be the way they do the backgrounds in their paintings, the eyes, the hair or the subject style. Let your work naturally evolve. The style of my painting now, is not how I started out painting 3 years ago. One day, I found myself changing the approach, when it came to my subject. The way I do the hair has evolved. There are still similarities, but differences. I am settling in to a more definite style that feels natural to me. It has taken time! Will I paint the same five years from now? I don't know. If you look at the earlier works of any artist, you will see that they have certainly evolved. It's a natural progression of sorts. Keep hanging in there! Keep doing art! You are on to something! Treat your art as something important enough for you to spend time with each and every day! When I travel, I try to take in all the little things along the way. Usually, I have to wait in the airport for a while, and it requires having something to occupy myself with. Sometimes, I observe children as they try to endure sitting at the urging of their parent or guardian. I pay close attention to everything going on around me. I also have a sketch pad or paper to record anything interesting that comes to mind. Although I'm interested in getting to my destination, I try to take in the experience as much as possible. In doing so, I have often gotten inspiration for paintings, journal pages, and a fresh perspective for the project I was working on. It's important to enjoy the journey! More than likely, we will reach our destination, but part of the end result is all of the stuff in between! Wherever you are in the arts, keep moving forward. You will have days when you ask, "Why am I doing this?" or "What made me think I could become an artist?" At some point in time, many artist have questioned their own interests. It's normal. Make sure that you are creating for the pleasure and enjoyment of it, and how it makes you feel. Just keep doing art! There are different reasons why people do art, or art related stuff. Some individuals enjoy going to galleries to look at the works of others, while some take classes or workshops to investigate whether or not they have any ability for it, as well as to improve on it. From the time I could remember, I was always doing art from the time I was a child. Art was a safe escape from the world around me. The challenges of my childhood were often difficult, and I found art to be an enjoyable way to express myself. By the time I had my own family, I was fully engaged in arts and crafts and I loved it! I tried all forms of crafts. I did cross-stitch projects, scrap baskets, and more. I attended art showings and visited art galleries on occasion. I found a few artists whose work made me smile, think, and want to do more art. A few years ago, I decided to attend art classes that were given by a local artist. I had never tried painting with acrylics on canvas before. I used acrylics in my art journals, but never on canvas. Mr. Williams was into landscapes. Initially, I wasn't thrilled. At the time, I wasn't into trees and grass, artistically speaking. I am smiling as I write this blog because who would have guessed that I would have fallen in love with painting on canvas. That experience led to the art that I do presently. I primarily paint! He inspired me to paint whatever brought me pleasure! I have to admit that all of those landscape classes have come in handy! I am enjoying the process! I never considered myself to be an artist. I only engaged in the arts because it made me happy and fulfilled. As a result, I have gotten the opportunity to participate in exhibits and art shows. Who knew? You never know where your art will take you, so don't become discouraged, and don't question your ability until it has been proven that you don't have an artistic bone in your body! I say that lovingly. Enjoy the process and certainly, Enjoy the journey!